I’ve just returned to Luang Prabang from an altogether too-short foray into Laos’ north, replete with cave spelunking, markets teeming with new foods to try and a seemingly endless stream of smiling, giggling children. And soup. Lots and lots of soup. As it was with my initial days in Burma, words seem inadequate to describe the loveliness of these last days. 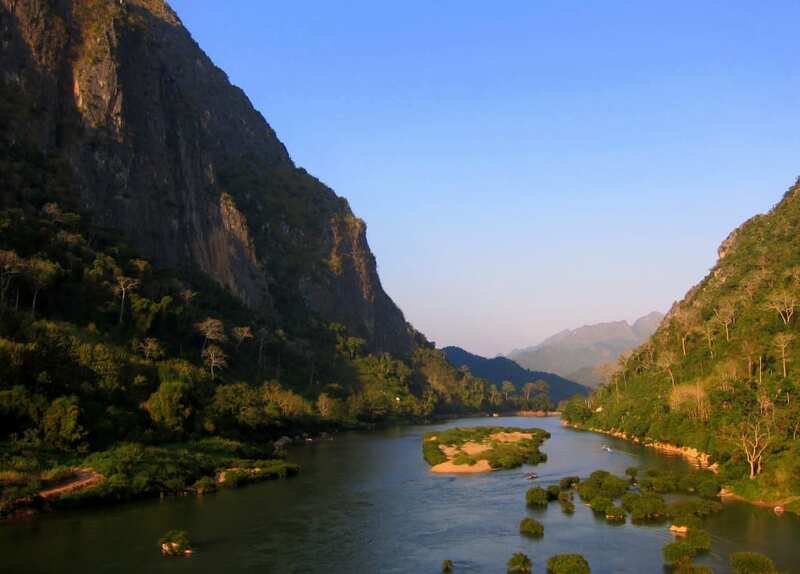 I will say this: Northern Laos is crazy beautiful. Up at dawn to see the mist off the Nam Ou river and fading behind Nong Kiow’s huge limestone cliffs, then a series of lazy river trips on rickety boats, hikes through teeny villages and evenings sharing delicious food with newfound friends.